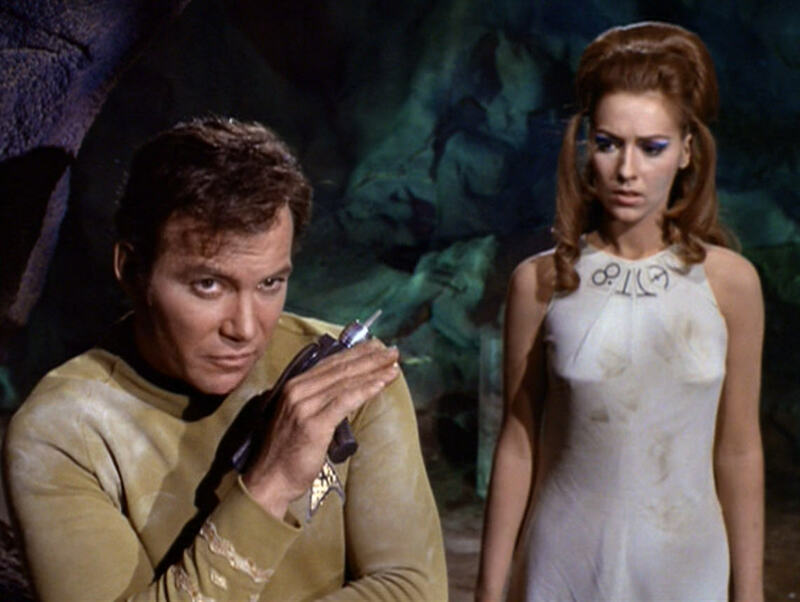 A phaser in this style is seen in the following screenshots from the 3rd season episode "Plato's Stepchildren"; which was first broadcast on Nov. 22, 1968 and is often remembered for its historic scene that contained the first interracial kiss shown on US television. 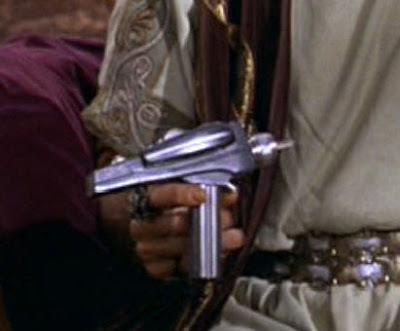 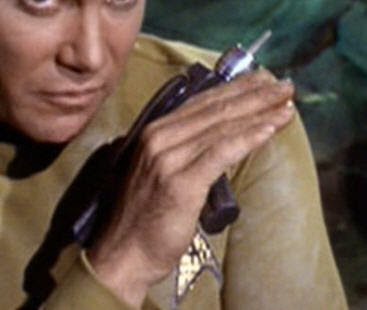 In the following screenshot from episode 76 "The CloudMinders", first broadcast on Feb. 28, 1969, Captain Kirk is shown with a midgrade phaser in this same style. 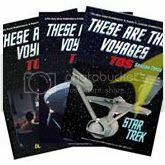 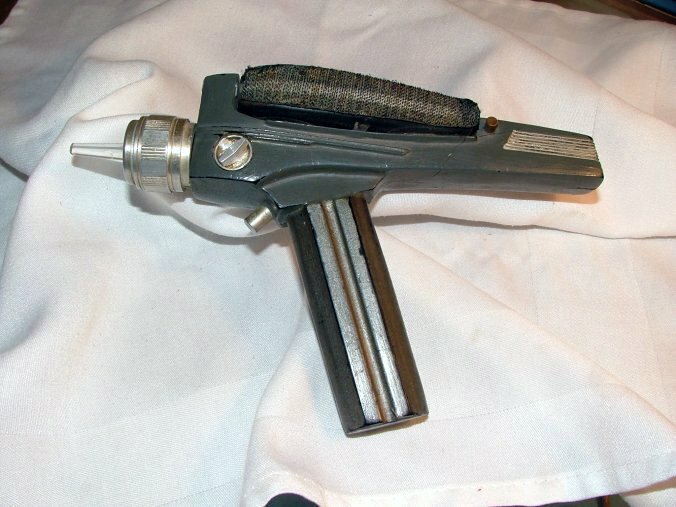 Most TOS phasers seen at auction; whether midgrade or stunt versions, feature hand grips that are similar in style to those found on the working or "Hero" pieces. 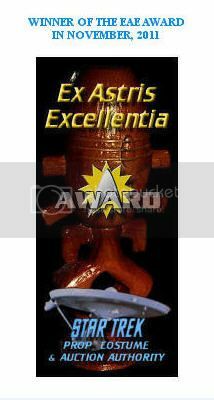 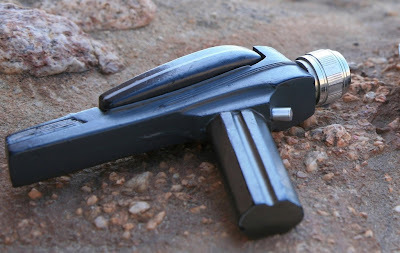 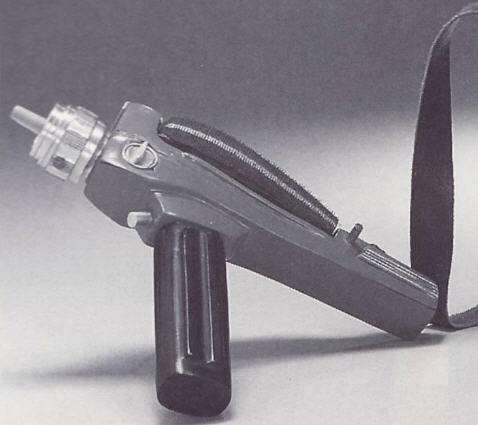 One example of this style is shown below, and the reader is directed to a different article on this website, viewable at http://startrekpropauthority.blogspot.com/2008/08/star-trek-original-series-pistol.html to see a more comprehensive listing of Major Auction House phaser offerings. 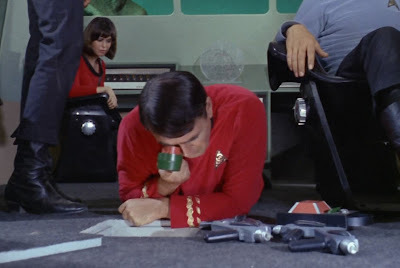 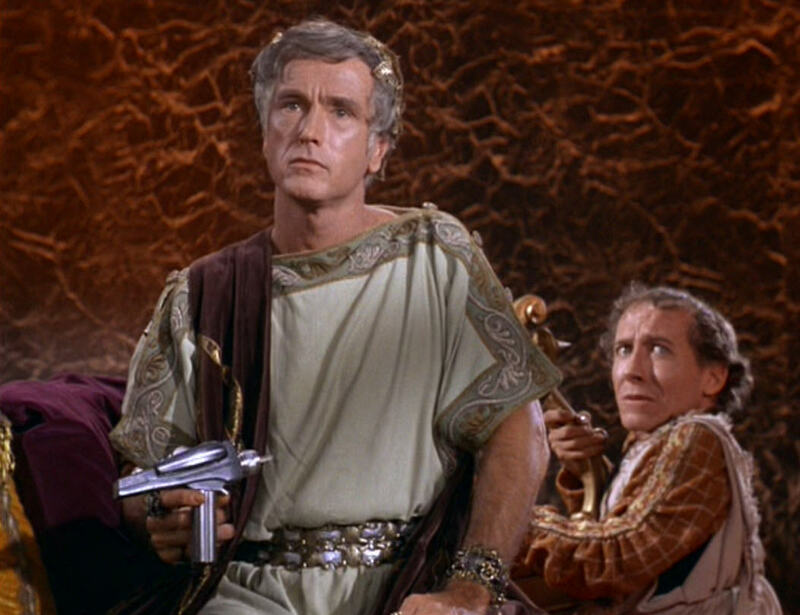 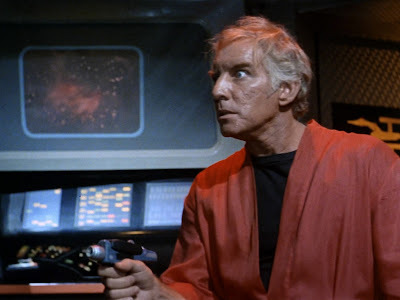 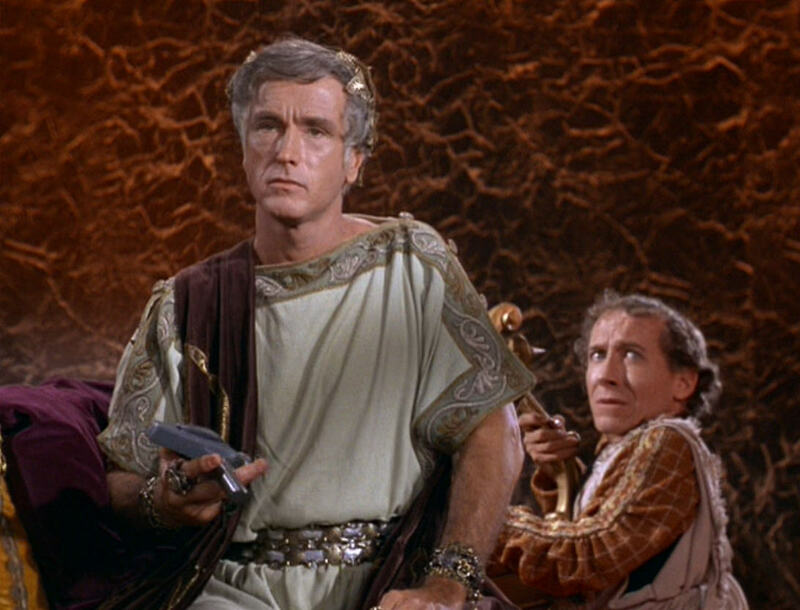 Yet a different style of midgrade pistol phaser handle is observable on several pieces shown in the following screenshot from the 1st season episode "The Galileo Seven". 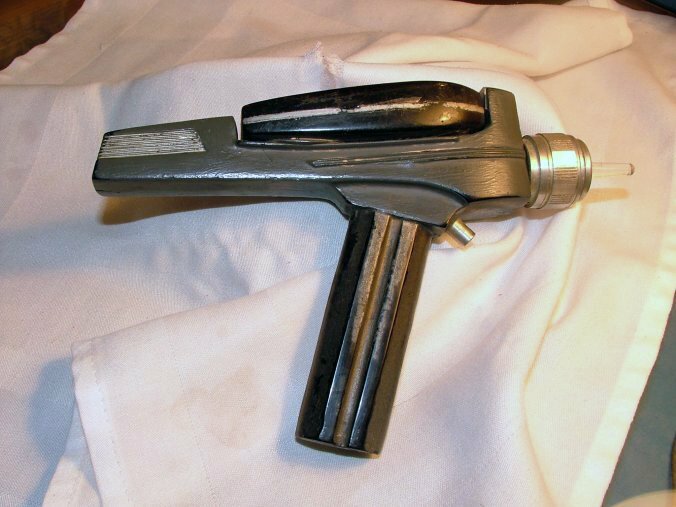 These phasers appear to have raised sidebars somewhat similar to the Hero style but also have round ball endpieces/projections that are clearly visible in the photos. 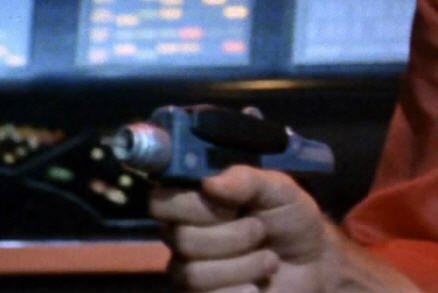 The following screenshot from the episode "Dagger of the Mind" features a pistol phaser with a variant style of velcro placement; seen adhered to the blue/grey pistol body as opposed to its usual place on the side of the hand phaser unit. Presented below are some selected screenshots from Star Trek: The Motion Picture (1979) that showcase the redesigned Bridge layout seen in the film - the aftermath of an extensive refit operation on the original U.S.S. 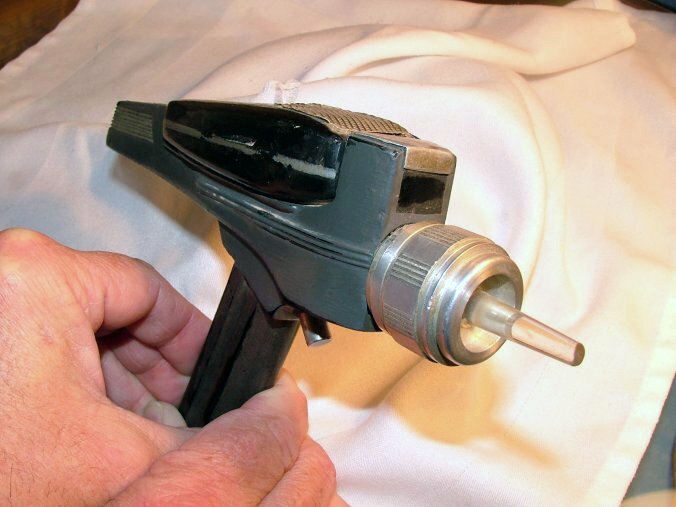 Enterprise NCC-1701 upon completion of her 5 year mission.